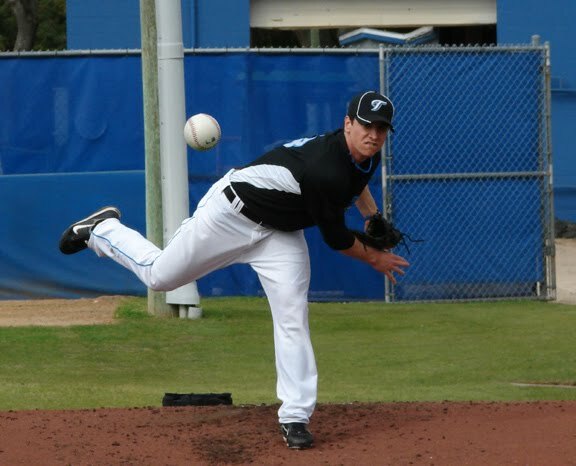 This is an exclusive interview with your Toronto Blue Jays top 5 prospect RHP Zach Stewart. A one on one with our boy Jay Ballz. Enjoy! Can I get your thoughts on your most recent outing (1 baserunner allowed in 5 innings against Trenton on Tuesday night) and early success thus far in 2010? I mean as far as (Tuesday), it was one of those nights where everything felt good and things were going my way and I had good defense behind me. What is your pitch repertoire like? I mean, I'm pretty much a fastball guy. Fastball, slider, and I've been working on my change up the past few years and that's coming along. A lot of sinkers, I guess, are pretty much what I throw mostly. What are you working on improving this season and what are your goals this year? Right now, just working on the change up, like I said. That's a big deal that I've been working on. And just getting ahead of guys and getting more outs and going longer in the game. My ultimate goal is to get to the big leagues. Speaking with New Hampshire pitching coach Tom Signore, he mentions your name when asked about guys on the pitching staff who could surely see some success at higher levels. How does that sort of support make you feel? That's awesome. You want that kind of gratitude and everything, from your superiors. I guess you can't move up if nobody likes you up there, so it's a good thing to know that the (powers that be) like you. What has your experience been like playing in New Hampshire so far this season? The few games we've played there so far, it's been really cold. We didn't have a ton of fans show up yet, but I guess it's been better than you could expect because we had 2 or 3 games in a row when it was in the 30's and 40's and it was sleeting and stuff. 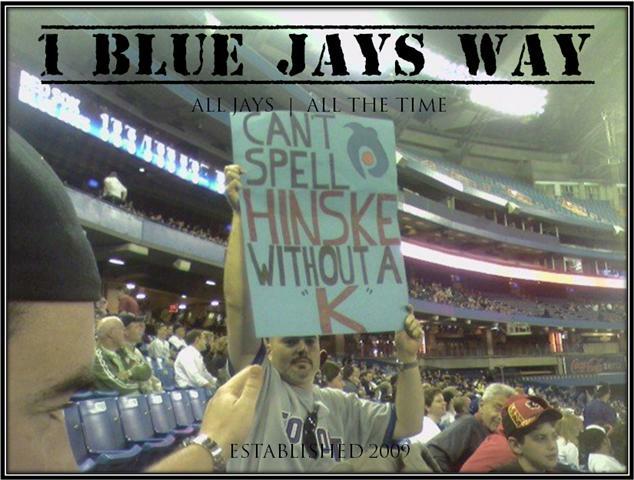 We didn't even want to be there, so I am sure the fans didn't want to be there. But, we had a lot of people show up, so it was pretty cool. You've been ranked as a top 10 prospect in the Toronto system by Baseball America. How do rankings and recognition like that effect your approach to the game? It doesn't really play into to it too much, 'cause it doesn't matter what you're ranked...if you don't play well, you're not gonna move (up), so it doesn't really matter to me. It might matter to some guys, but not me. It's definitely an honor, but it doesn't really matter as long as you're playing well. 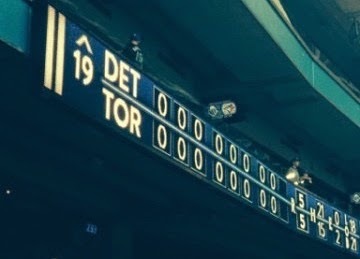 Who in the Blue Jays system has helped you improve the most since you were acquired last year in the Scott Rolen trade? I've had a lot of help from Dane Johnson, the pitching coordinator and of course Tom Signore has helped a lot here in double A, but I haven't been with him very long. Though, what little I've been with them, those guys have helped me a lot. Which batter would you most like to face some day? Probably A-Rod, because he's considered one of the best hitters in the big leagues. It would be cool to face him. Which ballpark would you most like to pitch in some day? The Ballpark in Arlington, because I grew up a Rangers fan. I'm from two hours down the road, so that would be pretty exciting. Nolan Ryan, for sure. Being from Texas and everything, he was pretty much a big deal back then. 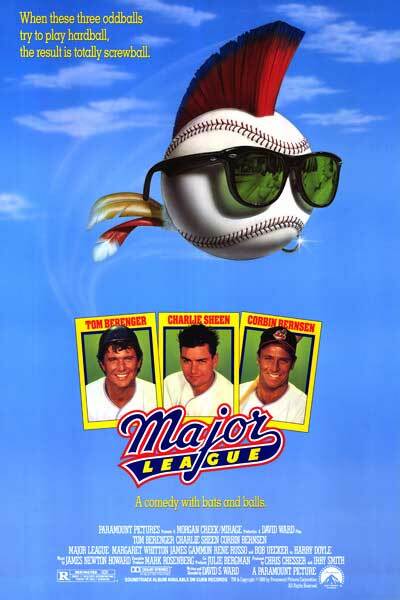 I'd say Major League...just 'cause it's funny. It's a good baseball movie. Nice interview TMWTGA. I was wondering if you could send me an e-mail. I have a question I would like to ask you. Great job here, boys. Well done. Thank him if you have a chance. Hopefully his secondary stuff continues to develop. Any idea how hard he throws? I checked into it a bit and from what I can see mid 90's stuff. I have not seen him pitch so maybe someone who has can answer this one?